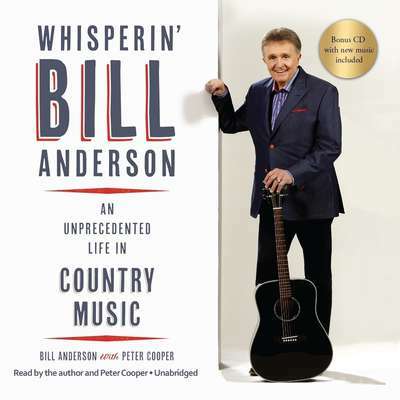 Bill Anderson is among the most successful songwriters in country music history. He is a Country Music Hall of Famer and a Grand Ole Opry star who has been writing hit songs for fifty-six years. His songs, including “City Lights,” “Give It Away,” “Whiskey Lullaby,” “Still,” “Po’ Folks,” “The Tips Of My Fingers,” and “Mama Sang a Song,” helped shape the course of country music. His compositions have been recorded by a diverse group of talents, including Ray Price, James Brown, Kitty Wells, Lawrence Welk, Dean Martin, Jerry Lee Lewis, The Louvin Brothers, Aretha Franklin, and hundreds of others.